Published on 11 March 2012. To confirm this thought, I clicked through to their full PR puff piece. This is one of the worst bits of PR guff I have read to date. It starts off by reporting the genuinely impressive news of 20% year-on-year online sales growth – no mean feat in a recession – and it’s impressive position as second in a hyper-competitive marketplace. Fantastic. But, before the end of the second paragraph, it goes off on an utterly ludicrous tangent, and starts talking about a meaningless customer service survey. 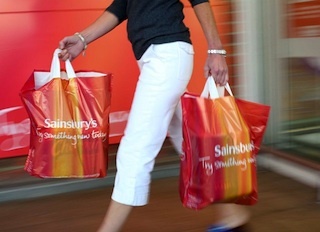 Sainsbury’s has commissioned MORI to poll people on the supermarket whose customer service they prefer, and they happily report that Sainsbury’s comes out on top. But the sample is patently absurd: 912 Sainsbury’s shoppers, 400 Tesco shoppers, 400 Asda shoppers, and 200 Ocado shoppers. It doesn’t take a much of a leap to assume that most people will shop at the supermarket they prefer, so it would’ve been frankly astonishing if survey of a group constituted of mainly Sainsbury’s shoppers didn’t rank Sainsbury’s highest on a number of cherry-picked metrics. Equally unsurprising is the news that Ocado, with the smallest number of customers in the survey, comes bottom on each metric. Of course, this is the sort of nonsense psuedo-science that PR offices pump out daily, and there are countless examples of the form. But the point here is that Sainsbury’s PR have managed to lump together some genuinely impressive figures with some unimpressive crap, and actually left me feeling less positive about the brand. This story is newsworthy without the tacked-on nonsense, which adds nothing to genuinely contextualise the results, and actually detracts from the key message. This 1,559th post was filed under: Headliner, Public Relations, Retail, Sainsbury's.